Multihull boats are one of the most exciting and awe-inspiring types of vessels around. This is true for sailors and spectators. Sailors receive a challenge with this trimaran and catamarans, especially foiled models and those over 50ft. These boats are also fun to watch from the land, with their unusual shapes, bright colors, and impressive physics on the water. Multihull boat events, such as races and boat shows, are therefore very popular with those that drawn to this class. There are many international, annual events across the world. The best bring a new adventure for sailors and a unique experience for spectators. The United States is home to many of the world top sailors and designers of the multi-hull craft. Many immediately think of international events before national ones. American shores are the first place to look when searching for the best multi-hull boat events in the world. There is no point searching in foreign climes until you have seen what the US can offer. If the Catalina rally is the lazy approach, the U.S. Multihull Championship hits the other end of the scales. In fact, this is US Sailing most important event with professional and world-class sailors from around the world. This is one of many sailing events on the US Sailing calendar, but the only multihull only one. Winners receive the Alter Trophy after a race where the competition is fierce. Past competitors include world champions from many multi-hull disciplines and Olympic medalists. This is one for the sailor more than the spectator and an event at the top of many US sailors’ lists. Once US sailors have a taste for local competition, it is time to head across the pond to Britain and Europe. The south coast of the UK always provides a stunning backdrop for sailing events. An active, maritime and sailing history runs along this coastline – from the Tall Ships events of Falmouth Bay to the cruise liners, global races and adventurers setting sail from Plymouth and Southampton. The British summer season heralds a host of activities for all classes and sailors of all kinds, with races, meets and a good old boat show. Annual national events compete for attention in the main harbors. Other destinations vie to host major races to provide the ideal starting point. The majority of the top boat shows for the season take place around the Hampshire and Dorset coast in some of the larger maritime cities. 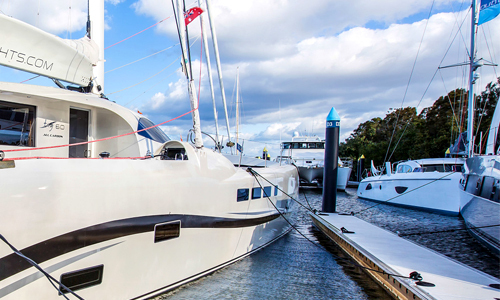 Poole Harbor Boat Show is one of the biggest, most popular events in the country. It occurs over a long weekend in May, though oddly not the May Bank Holiday. The Portsmouth Harbor Multihull Show takes place a few weeks later at Haslar Marina in Gosport. This year the organizers proudly boasted that they had the largest range of new catamarans and trimarans in the country. The season ends with the enormous Southampton Boat Show at Mayflower Park. This year the event takes place between the 15th and 24th of September. Multihull boats have taken hold in some major races with multiple classes. They delight onlookers with their size and shape as they are unlike anything that many spectators have seen before. Crowds find themselves drawn to these boats and their crews, especially those on long solo voyages. The Transat Bakery is the prime example. This transatlantic race takes sailors of different classes to the British coast, before a grueling race to the finish line. In 2016, Multi50s Massif and Sodebo stole the hearts of their Plymouth hosts. This Multi50 class just means vessels – either catamaran or trimaran – up to 50ft in length. Those big boats reach 30 knots and are a great addition to the race. The craft became a part of Transat in 2004, a year where six started but two failed to finish. Sailors can also enjoy additional European climes in warmer resorts. These British games are traditional and familiar, but the Mediterranean is a little more inviting than the English Channel. Many international events and race periodically switch their starting location and key ports. This provides excellent opportunities for sailing fans in Europe to see the best action, as well as new destinations for avid sailors to master. There are also some annual events in the primary locations. Some of which may be new to many sailors. The coastlines and varied waters of Europe mean there are plenty of challenges out there and the potential for top multi-hull boat events in the future. France is a great place to start when talking about European multi-hull boat events. French sailors would argue that they have as high a link to Transat’s Multi50 class as the British. The vast majority of sailors are French after all. There is an active French sailing community and passion for the sport. This is evident in both the races and the annual events. 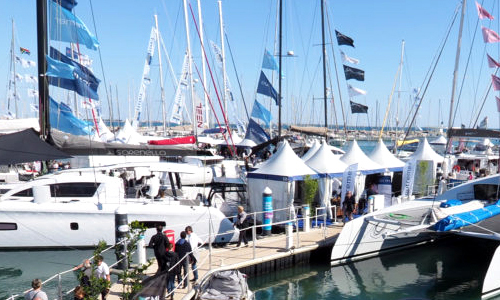 One such event is the International Multihull Boat Show in La Grande Motte. This takes place every April. This is a boat show with a difference and one that appeals to many visitors. The difference is that this is one of the few events to show the boats in the water, rather than as static displays. Visitors often feel that there is something evocative about seeing the vessels in their natural habitat – as it were. Then there are the meets and events across other European islands and ports. The Multihull Cup in Port Adriano, Mallorca is an excellent example of a new adventure. This is a relatively new event on the multi-hull boat events calendar and is exclusively for multi-hull vessels of 50ft and over. The boat race for around 30Nm on the Friday and Sunday, and there is a longer record run’ on Saturday. The 2017 events take place between the 1st-3rd September 2017, which provides a fun end to the summer season in a sunnier destination. Also, the Extreme Sailing Series will return to Marina Funchal in Madeira this year. The debut of the Flying Phantom series means that this is an important date for the multi-hull boat events diary. These fast, modern multi-hull vessels have impressed sailors and fans in test runs in San Francisco. They should be the star attraction in Madeira this year. The Volvo Ocean Race, meanwhile, starts from Alicante this year. This is another high-end global race that brings the best vessels to the water and public attention. Again, it is all about ongoing development and new tech. This year the Volvo Open Race has struck a balance between monohull or multihull. This diverse list takes in Europe, Asia and Australasia, which leads to the next series of multi-hull boat events. There is a lot of emphasis on the events available in Europe and the US. The close links between the regions and the Atlantic route play a big part in this. However, these areas are not alone in their love of the multi-hull vessel. There are events, and boat shows right across the world. Australia also has its fair share of multi-hull boat events for sailors and spectators to enjoy. There are boat shows and rallies to enjoy across the major cities. This should come as no surprise. This is an island nation with a vast coastline, great climate, inviting port destination and great sailors. The Volvo Open makes a brief stop in one city. Others host their races and shows. The major cities of Australia fight it out for the best boat show of the year. Those big harbors offer a stunning backdrop for maritime events and attract a range of exhibitors and enthusiasts. The Sanctuary Cove International Boat Show in Gold Coast, Queensland is a four-day event that claims to celebrate everything marine. 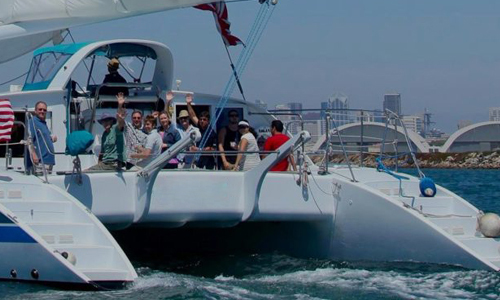 This is one of the many Australian events associated with Multihull Solutions. This partnership allows them to showcase a broad range of models from top manufacturers. The Melbourne Boat Show takes place at the Melbourne Convention & Exhibition Center in Victoria’s Capital. This is the largest boat show in the state and aims to rival the next event. Sydney is also in on the act with their show at the Sydney Exhibition Center in Darling Harbor. They boast a “fully functioning exhibition facility” and again have links with Multihull Solutions for the best displays. These Multihull Solutions rallies aren’t limited to Australian waters; they also head over to Phuket, Thailand, and Indonesia. The Phuket rally is a “multihull only” three-day event that showcases the speed and functionality of this vessel through races and other activities. The Sail 2 Indonesia Rally is something a little different, as the name suggests. Here keen Australian sailors can team up to sail from Queensland to Indonesia. This is simultaneously a team-building exercise, a tight race and a fun adventure to foreign climes. It is one of those multi-hull boat events for sailors to put on their bucket list. This highlights the fact that multi-hull boat events can occur wherever there are waters to sail and ports to welcome the sailors. Race is not limited to one country’s waters. A multi-national organization can open up interesting routes and opportunities across the world. The history of transatlantic races means that Transat is pretty well-known. It falls behind round-the-world events regarding public recognition. Still, there are other routes and multi-hull boat events in unusual locations. This opens up some great opportunities for sailors that want to expand their horizons – both figuratively and literally. Multihull events in tropic lands and other foreign shores bring a sense of adventure and a new perspective. It doesn’t hurt that these competitive events bring a tropical holiday at the finishing line. Those that want to spread their wings to more important areas can take a closer look at the Tahiti Pearl Regatta and other events in remote Pacific or Atlantic islands. A great example here is Bermuda. This island takes us full circle to the US theme with the 2017 America’s Cup. The use of multi-hull boats in this event has steadily evolved over the years. Designers and sailors have tested the boundaries of what these vessels can and cannot do. The current class is the AC45F, a 45ft foiling catamaran that enhanced the previous AC45 to suit the race. There was once an AC72, but they deemed this too big, so developers downsized. Multi-hull boat events come in different shapes and sizes, from small boat shows to global events. Each event has a different appeal and purpose, but they all bring keen sailors and boat enthusiasts together. The global and transatlantic races are the pinnacle for many. These events bring world-class vessels to a port for a short time, and spectators get a close view of new tech and exciting races. They are also the greatest challenge for multi-hull sailors out for adventure. Localized races and meets provide more laid back competition in exotic locations across the world. 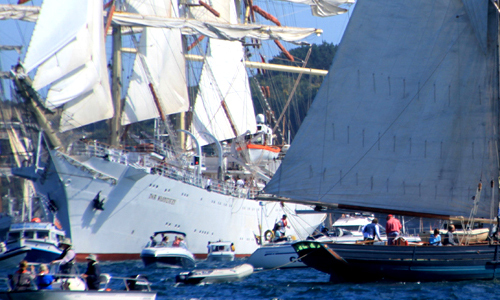 Meanwhile, traditional boat shows in the major sailing towns and cities offer an alternative view and inspiration. There is something for everyone over the summer season.